15th March, 2017, India: Minister of State for Information & Broadcasting, Col. Rajyavardhan Rathore has said that Technology has played a critical role in defining the contours of professional photography and art of film making. The exposure of budding young talent to the nuances of technology has a positive impact on their learning curve. This initiative would ensure the perfect blend of technology and young talent through the platform of FTII. The Minister stated this on the occasion of signing of an MoU between Film and Television Institute of India, Pune and Canon India Private Limited. Mr. Kazutada Kobayashi, President & CEO, Canon India was also present on the occasion. 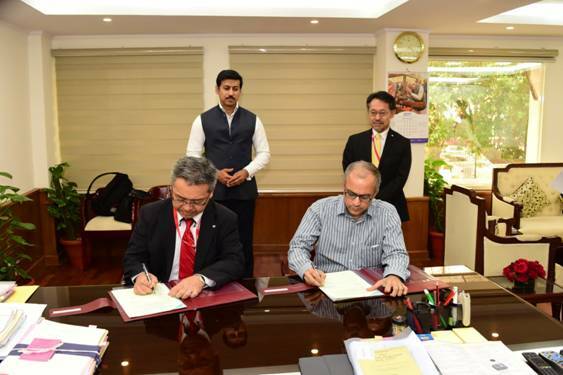 The MoU between Film and Television Institute of India, Pune and Canon India Private Limited would promote film education through short-term courses across several towns and cities in the country. Under FTII's unique initiative SKIFT (Skilling India in Film and Television) several short courses, mostly of skill-oriented nature have been proposed to be held in collaboration with State Governments, Universities and Educational institutions. FTII Pune, one of Asia's leading and India's foremost institute in film and television education has been preparing to break new grounds by pushing to democratise cinematic education by offering quality and affordable training to general public and practitioners alike at locations where there is a demand for such courses. FTII is also in the process of aligning some of the short courses with Pradhan Mantri Kaushal Vikas Yojana (PMKVY) under National Skill Development Council. 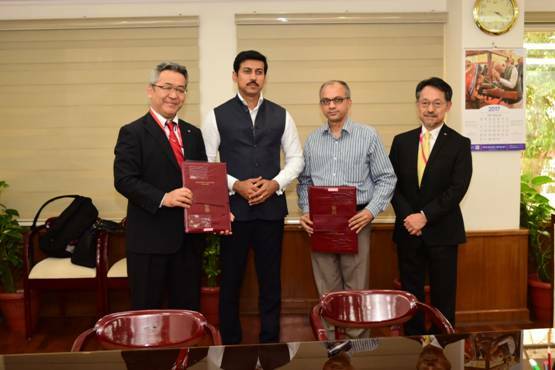 While speaking on the occasion Mr. Kazutada Kobayashi said that Film & Television Institute of India (FTII) was one of the most reputed institution across the world and Canon was proud to announce the partnership for SKIFT which has been designed to spread the art of cinematography and film making, across the length and breadth of the country. As a technology partner for this initiative, Canon India was delighted to add value to the program endeavored to scale skill development in film and television to greater heights. Canon, an international brand in digital imaging, as 'Technology Partner' of SKIFT would be providing high-end cameras and accessories free of cost for the courses. This support would be a major contributing factor in keeping the course fees affordable while offering an opportunity to course participants to use cutting-edge equipment. The courses are proposed to be held in non-metros such as Guwahati, Jaipur, Vishakhapatnam, Raipur, Chandigarh, Raipur, Bhopal, Leh and Andaman & Nicobar Islands to begin with. Initially SKIFT would conduct courses such as Digital Cinematography, Documentary Film Making, Screenplay Writing, Acting, Film Criticism & Journalism and Film Appreciation.